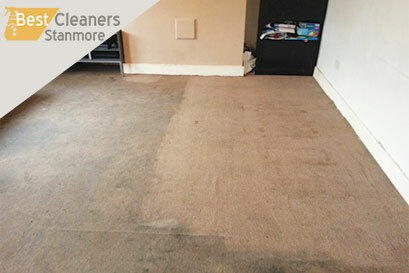 Our company is based in North London and provides professional carpet cleaning services. We have been developing our business for years now and we know how to deal with all types of carpet cleaning issues in a highly professional manner. We already have a huge number of clients who have trusted us and use our services on regular basis. We have incorporated the latest carpet cleaning technologies in our work and we are proud to say that we use only eco friendly methods that are safe for your health and do not damage the fabrics. Our carpet cleaning services include proper vacuuming and pretreating of stains. We hugely rely on the hot water extraction method which gives magnificent results on all types of carpets and provides thorough disinfection thus preventing from bacterial growth. The best thing about the hot water extraction technique is that involves no toxic chemicals which makes it the safest and most efficient way of dealing with carpet cleaning issues. To ensure immediate comfort for you we use the moisture extraction method which leaves your carpets almost completely dry and prevents microorganisms growth. Trust us –we are the cleaning experts in North London who could give you the best carpet cleaning solution! Our employees have been extensively trained and are competent enough to meet all your requirements and deliver the service you need. They have vast experience in carpet cleaning and know the specific characteristics of the different types of fabrics and the cleaning products they need. Do not hesitate to share with them your concerns or expectations. They will chose the most appropriate cleaning option for you and will adapt their work to your needs and requirements. If you want to enjoy deeply cleaned and refreshed carpets, book our services now! We are available 7 days a week and we are able to offer a great diversity of carpet cleaning options at reasonable rates. We are definitely the best choice for you in North London! Trust us and prolong the lifespan of your carpets! Bring back the comfort in your home, have your carpets super clean!